Our sister company SCH have handled their first cruise ship turnaround operation of the 2016 season at Liverpool Cruise Terminal (LCT). SCH, who have won the exclusive contract to handle all cruise ships at LCT for up to three years, supplied stevedoring, stores handling, car parking and mooring services for the Fred Olsen Lines vessel Boudicca. More than 50 cruise ship calls are scheduled for LCT this year. 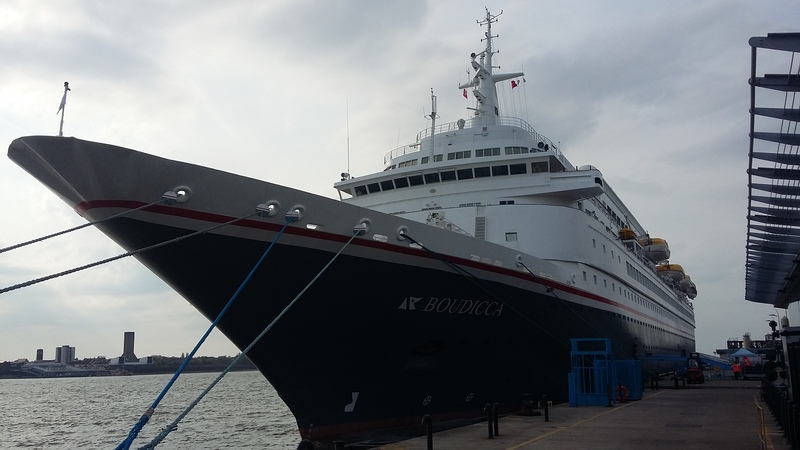 Boudicca embarked around 900 passengers at LCT, having arrived from Falmouth where SCH also supported the ship before she sailed on a nine-night cruise to the Norwegian fjords. Boudicca will make a total of 16 turnaround calls at LCT this year. SCH and Pathfinder are the most extensive provider of cruise ship services in the UK with operations in Liverpool, Southampton, Portsmouth and Falmouth, including valet car parking carried out by Cruise and Passenger Services (CPS).